Frón means Iceland, and this work is based on fragments from Icelandic folk songs. The opening trumpet statement thus includes fragments from three of the oldest known Icelandic melodies and these are also the ones most frequently referred to in the work. 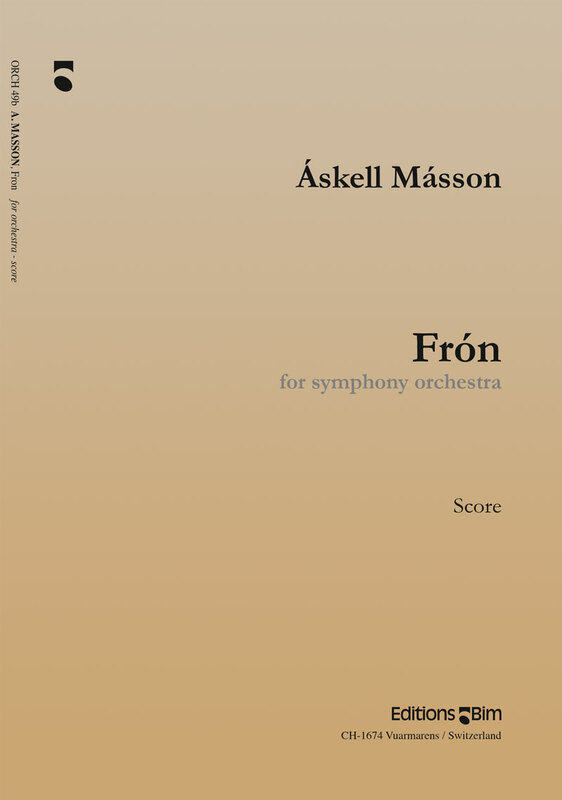 Frón was commissioned by the Icelandic Symphony Orchestra for their tour of Germany in December 2003. 2019 © Askell Másson. All rights reserved.